We regret to inform you that we will not be holding the New England Summer Invitational Sale. 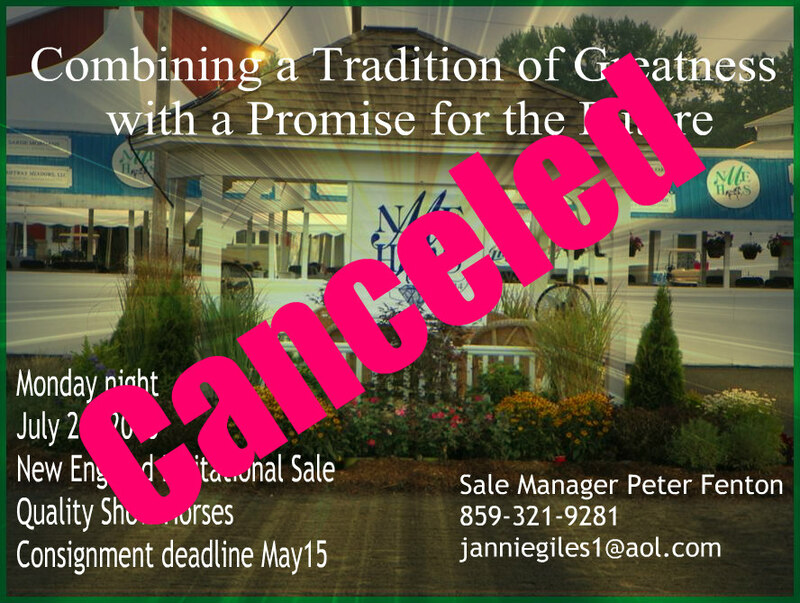 We have worked very hard for the last few months trying to generate excitement about an all Morgan Show Horse sale, but did not get the response we hoped for. We had great consignments just not enough to hold a sale. We want to thank everyone for their support and interest. We will revisit the sale again in 2017.